SW MT Blocs – Available Now! It’s here!!! SW MT Blocs: A Bouldering Guide to Southwest Montana​ has made it to Bozeman and I gotta say, I’m pretty proud of how it turned out. It wouldn’t be nearly as nice of a book without the help of a lot of people. Thank you to the photographer who contributed some amazing shots: Matthew Abbott​ (Cover Shot!!! ), Jessica Schau Groseth​, Peder Groseth​, Ben Herndon​, Jeff Ho​, Brett Jessen​, Loren Rausch​, Henry A. P. Schlotzhauer​, Laydee Sharkfist​, David Sjöquist​ and Kevin Volkening​. A big thanks also goes out to guidebook/pamphlet authors who let me include their beta in this guide: Jeff Ho, Alan Kline, Loren Rausch, Aleksander Tkach​, and Jeff Webber. Huge thanks to Jeff and Sarah Day Ho​ for proof-reading the guidebook, catching my mistakes and giving me lots of suggestions that made it much easier to look at. Also, thank you to Bill Dockins for his advice on the guidebook printing and publishing process. Thank you all!!! For everyone mentioned above and for everyone who pre-ordered a copy, I’m hoping to have them shipped out or hand delivered to you by tomorrow (Wednesday) morning. For everyone else, you can order the book at swmtblocs.com or I will be selling them at Spire Climbing Center​ all day Saturday (May 9) during the SCS Big Sky Regional Competition. Come watch the kids climb and buy a guidebook! 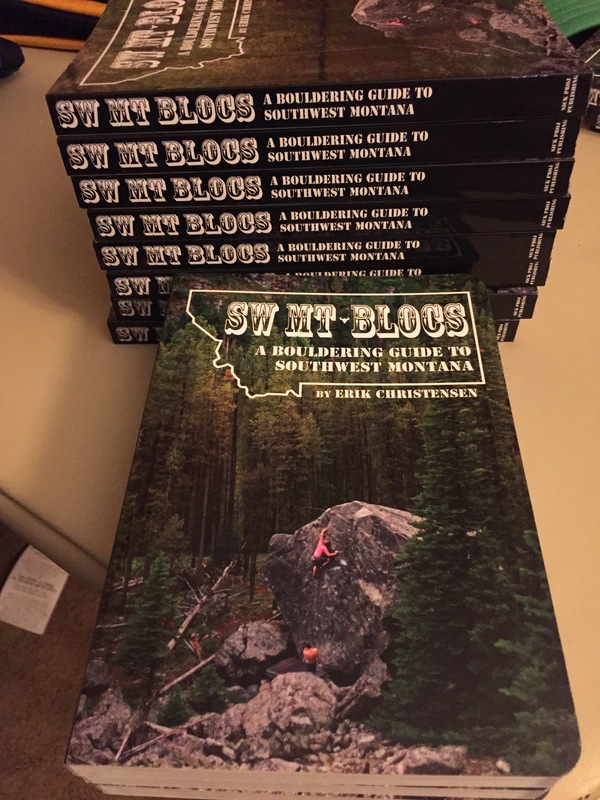 SW MT Blocs – Coming May 2015! 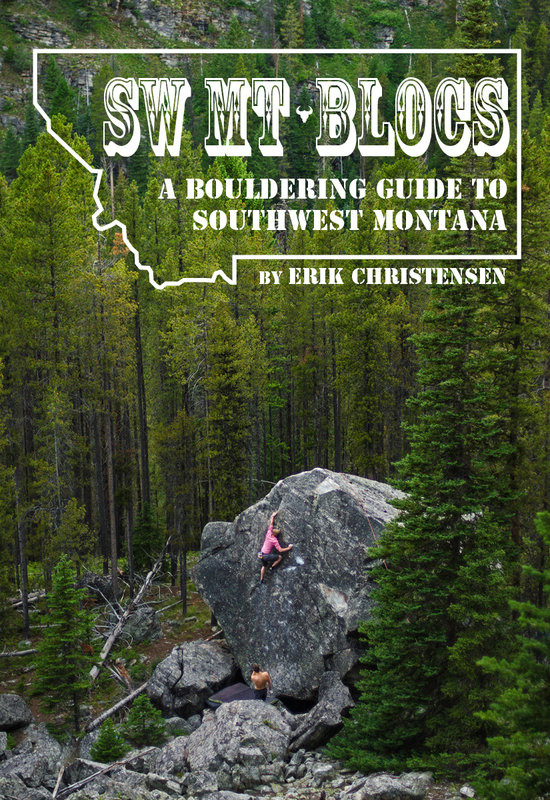 Well, it’s finally time that SW Montana gets the bouldering guidebook it deserves – SW MT Blocs: A Bouldering Guide to Southwest Montana will be out in just a few weeks! Pre-orders are being accepted via the Paypal button on the right. Through at least June of 2015 shipping (within the United States) will be included with any purchase and $1 from every book sold will go to the Nepal Earthquake Relief Fund via the Alex Lowe Charitable Foundation. The guide is $35 and includes free shipping. $1 from every copy sold will go to local charities.